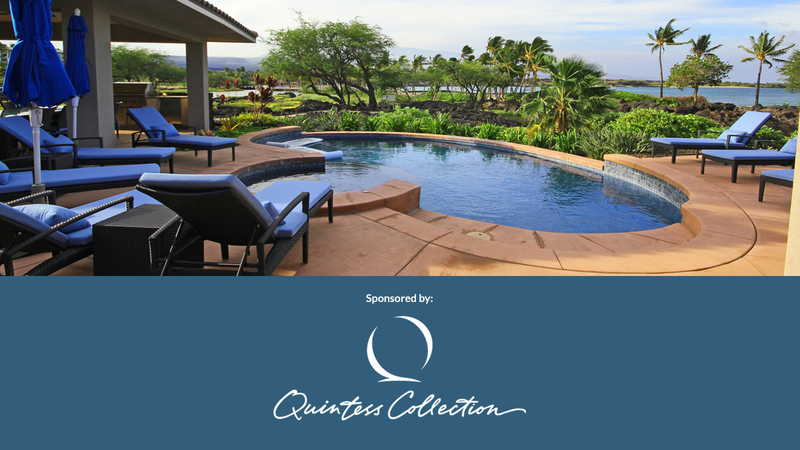 The Quintess Collection and harrigan | teegarden Private Wealth Advisors are honored to sponsor a stay in a luxury vacation residence within the Qcoins portfolio. 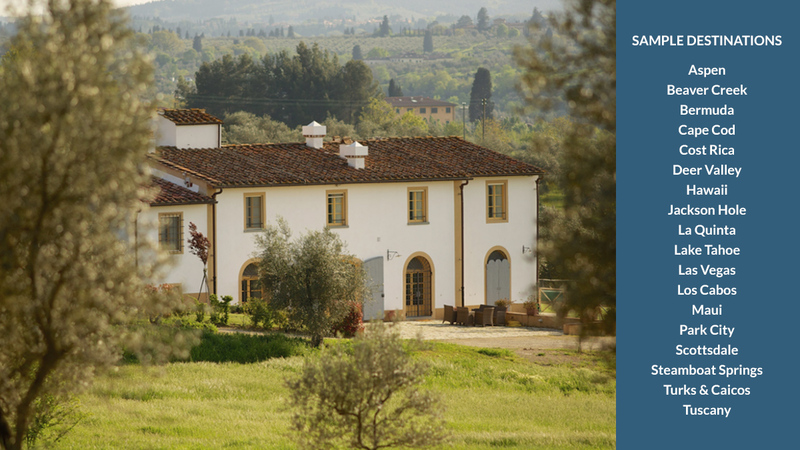 Valued at $5,000, with homes all over the world, this package enables you to take the vacation of your dreams. From Aspen to Deer Valley, Los Cabos to the Hamptons or Paris to London, where will your Qcoins take you? Make a donation to There With Care and enter to win this drawing! 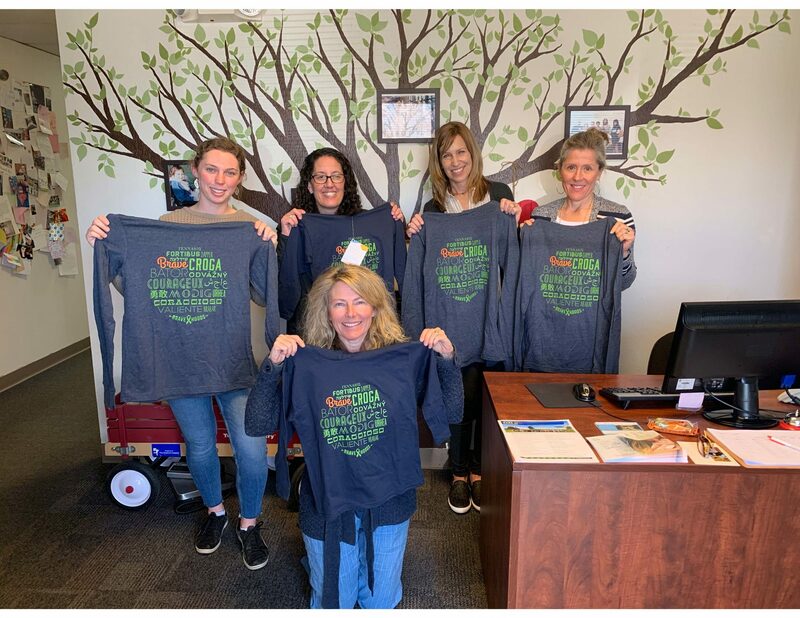 Drawing will be held at the Broomfield Care Cup Challenge on Tuesday, June 4.
https://www.bravehoods.org/shop-2 – for every hoodie sold, one will be donated to a child we are supporting. Enter TWC promo code for 10% off! 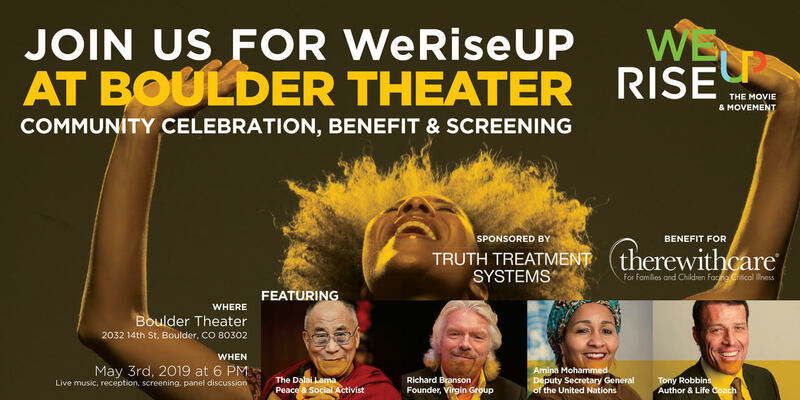 WeRiseUP The Movie & Movement will be having a FREE screening of its culture-shifting film at the Boulder Theater May 3, 2019. The Screening & Benefit Event will include an opening reception, full screening of the film, Director and Producer Q&A, Influencer Panel Discussion, live performances and more.WeRiseUP The Movie is a culture-shifting film features key global leaders including His Holiness The Dalai Lama, Amina Mohammad (Secretary Deputy General of the United Nations), Blake Mycoskie (Founder, TOMS Shoes), Moby (Grammy Musician), John Mackey (Founder, Whole Foods Market), Dwight Howard (NBA All-Star), Prince EA (YouTube Celebrity) along with many others. WeRiseUP was launched at the 2019 Sundance Film Festival, with premiere events at SXSW Film Festival and the World Economic Forum in Davos, and scheduling screenings at the United Nations, The World Bank, Aspen Institute and others. While the event is FREE and open to the public, it is a benefit event for There With Care. In order to secure your seat, sign up by making a ticket contribution to support There With Care and you will be placed on the VIP list with a reserved ticket. All other registrations will be first come, first served. Buy tickets here. You can read more about WeRiseUp The Move & The Movement and screening in the feature article just released in the April 2019 issue of Boulder Lifestyle Magazine. 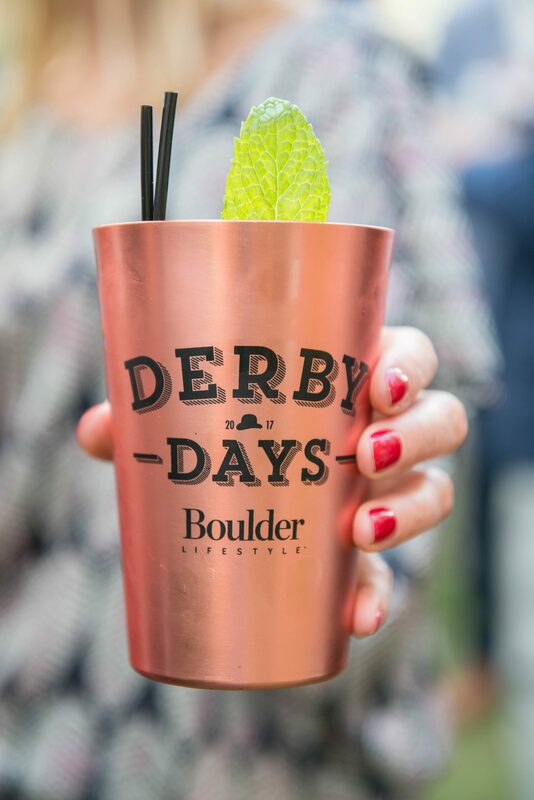 Please join us for the Boulder Lifestyle Magazine’s 7th Annual Kentucky Derby Party, a benefit for THERE WITH CARE. Location tbd. The $100 donation is for an ALL-INCLUSIVE experience (hosted bar, hors d’oeuvres, and entertainment). Guests will also be invited to the VEUVE CLICQUOT AFTER PARTY at the St. Julien Hotel, with live music, dancing, and Veuve specials for Derby Party guests. For more questions, please contact Boulder@LifestylePubs.com. 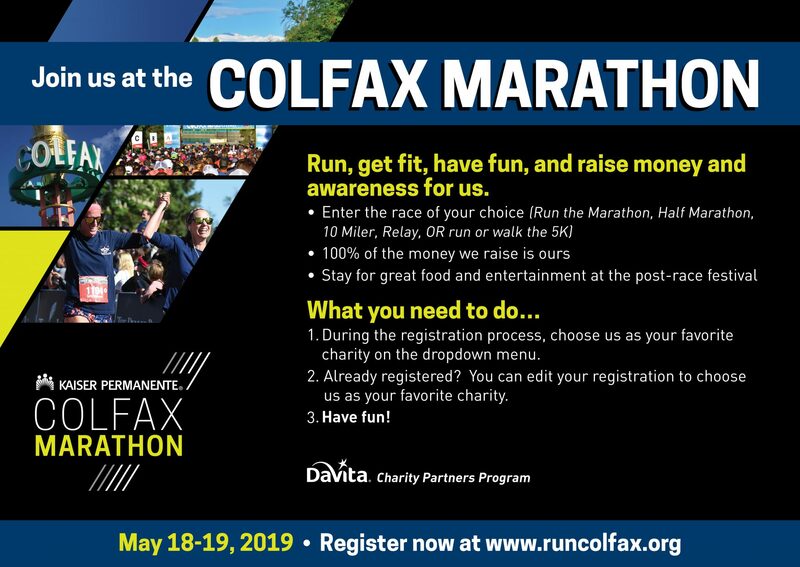 The Colfax Marathon, Denver’s largest running weekend is May 18-19, 2019. Join us to run your first 5k, join a relay team or crush your fifth marathon while raising awareness and support for families facing a critical illness. Sign up for your run at runcolfax.org, then select There With Care as your charity partner. From there, you’ll be directed to set up your fundraising page and share your goals with your friends and family. There are resources and tips to keep your momentum all the way to race day. Not able to participate? Click here and you can support a team and help us reach our goal!